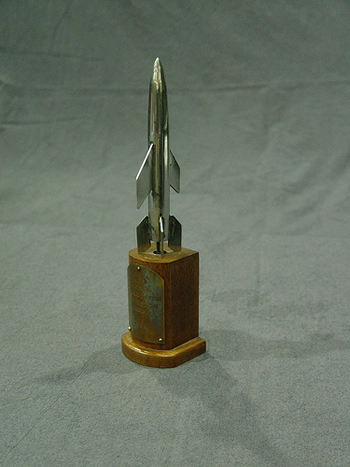 The very first Hugo Award for excellence in fantasy and science fiction was awarded to Alfred Bester for The Demolished Man. "Back cover: "In 2301 A.D., guns are only museum pieces and benign telepaths sweep the minds of the populace to detect crimes before they happen. In 2301 A.D., homicide is virtually impossible--but one man is about to change that. In this classic science fiction novel, the first to win the prestigious Hugo award, a psychopathic business magnate devises the ultimate scheme to eliminate the competition and destroy the order of his society. 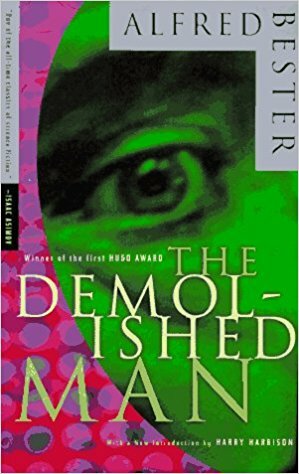 Hurtling from the orgies of a future aristocracy to a deep space game preserve, and across the densely realized subcultures of psychic doctors, grifters, and police, The Demolished Man is a masterpiece of high-tech suspense, set in a world in which everything has changed except for the ancient instinct for murder." 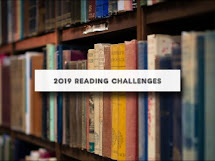 Which makes for some rather interesting reading until the characters start to think in cohesive patterns. So what happens when Reich decides to break the law and is determined to find a way to disguise his thoughts. He goes to a songwriter who teaches him a song that he won't be able to get out of his head for a month. "A tune of utter monotony filled the room with agonizing, unforgettable banality. It was the quintessence of every melodic cliche' Reich had ever heard. No matter what melody you tried to remember, it invariably led down the path of familiarity to "Tensor, Said the Tensor." Then Duffy began to sing. "Oh my God!" Reich exclaimed. "I've got some real gone tricks in that tune," Duffy said, still playing. "Notice the beat after 'one? That's a semi-cadence. Then you get another beat after 'begun.' That turns the end of the song into a semi-cadence, too, so you can't ever end it. The beat keeps you running in circles, like: Tension, apprehension, and dissention have begun. RIFF. Tension, apprehension, and dissension has begun. Riff..."
What would be more annoying? All the people talking or getting that song stuck in your head? *grin* The Demolished Man is a fun and enjoyable read and has definitely withstood the test of time. Alfred Bester also wrote "Tiger, Tiger," which was released in the U.S. as "The Stars My Destination", plus many other short stories. He wrote the non fiction book "The Life and Death of a Satellite" in 1966. 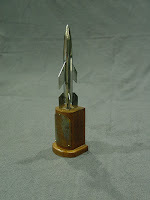 Be sure to check out Bester's books as well as the rest of the Hugo Award winners.